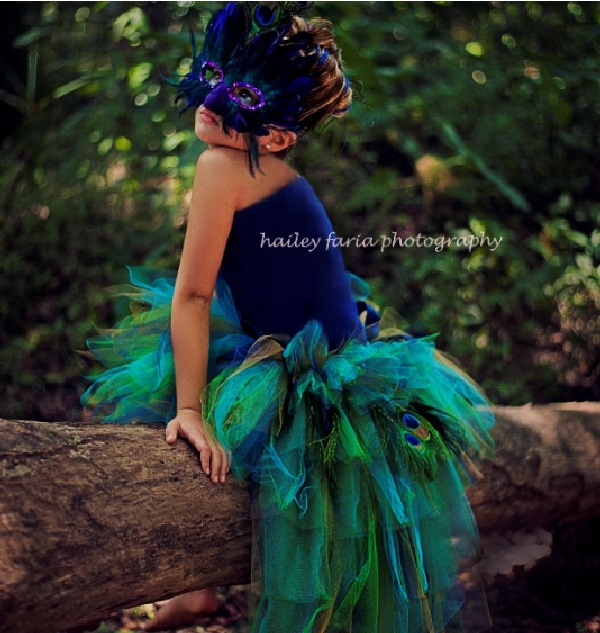 Women's Peacock bustle tutu with peacock eye feathers in turquoise, navy, emerald green and gold tulle. 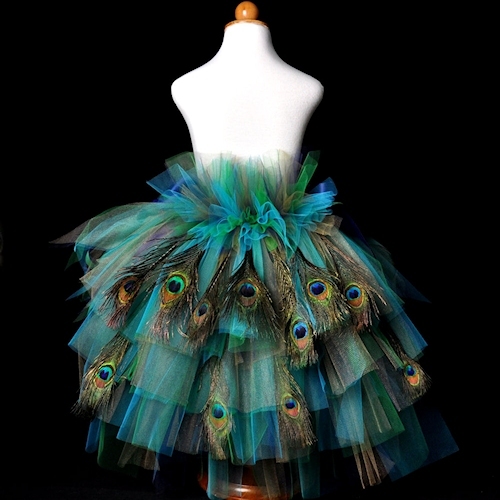 This women's peacock inspired bustle tutu is stunning in shimmering gold, turquoise, navy and emerald green tulle and features a gorgeous peacock feathered bustle. 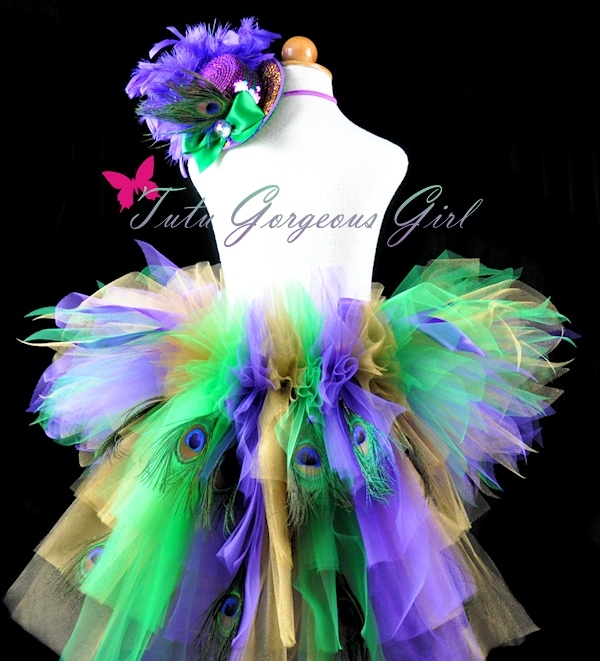 A perfect tutu for an adult Halloween or Mardi Gras costume. 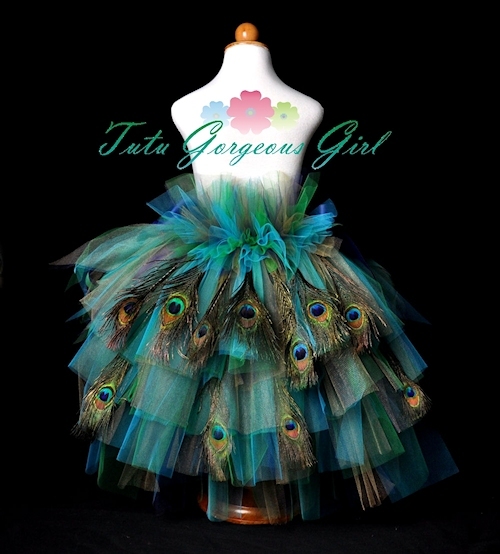 This tutu will come with two satin ribbons tied at each side of the bustle, beautiful peacock eye feathers securely attached to the bustle (back), and your choice of tutu length. Tutu length is for the front portion of the bustle tutu and is offered in a 14 inch length for shortest, 18 inches for mid length, and 24 inches for equal length to the bustle. 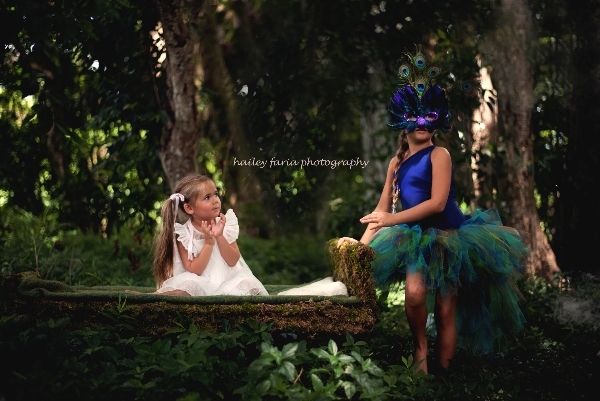 *No longer offering 24 inch front tutu for Halloween. 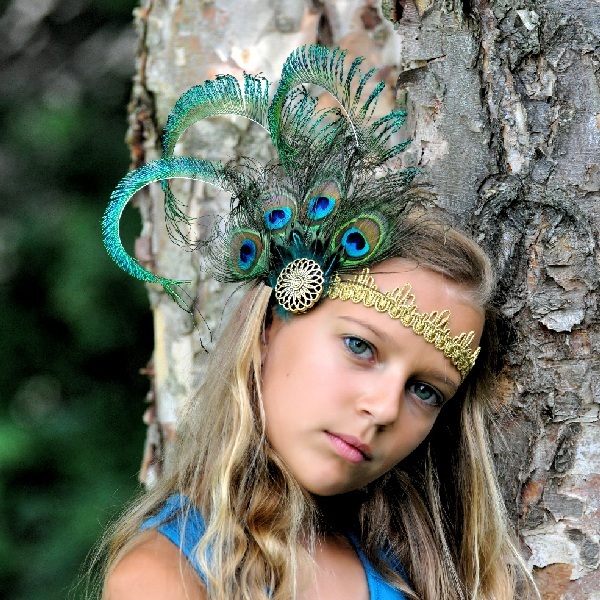 Bustle features two full rows of peacock eye feathers (16-20 feathers depending on size ordered). An extra row of feathers can be added to your order.